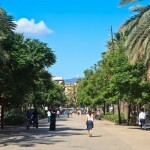 Besides the well known Rambla of Barcelona there are a few more smaller Ramblas. 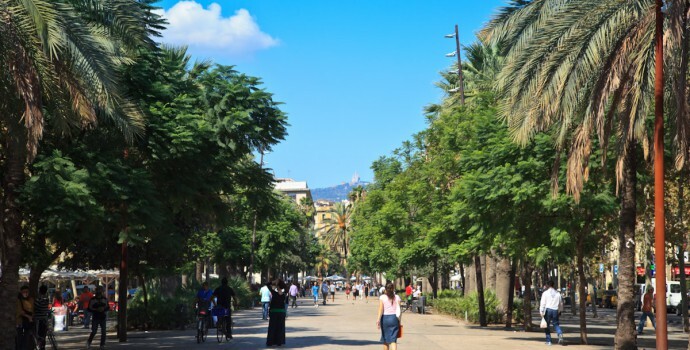 One of them is the Rambla del Raval (the one of the neighbourhood Raval), which is located beside the big one, but much more relaxed to walk. Bordered by palm trees and cafés it is comfortable sitting here for a few hours and to watch the business of Raval. The whole Raval neighbourhood feels a little different from the rest of Barcelona. A colorful mixture of nationalties (especially oriental and arabic ones) can be seen here. 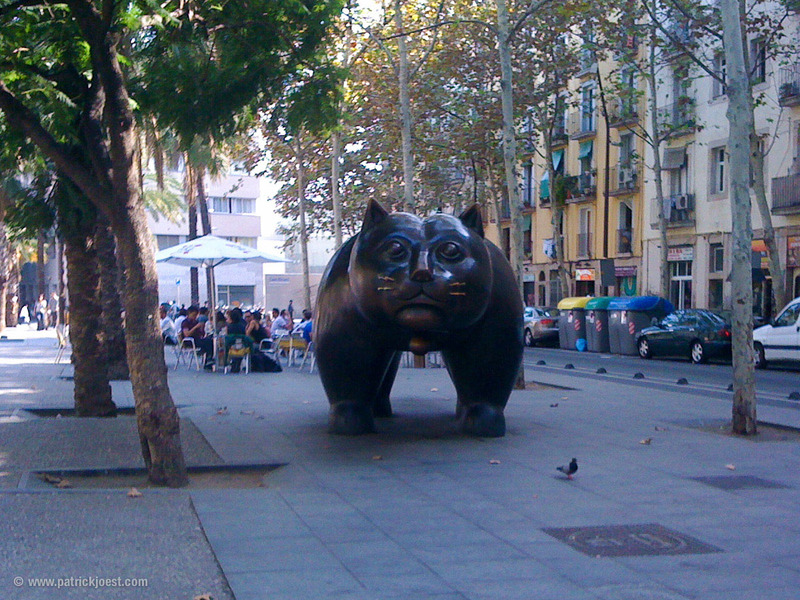 A bit ahead of the eastern end of the Rambla you can see a piece of art of the colombian sculptor Fernando Botero: El gato del Raval (the cat of Raval). He seems to like fat animals. 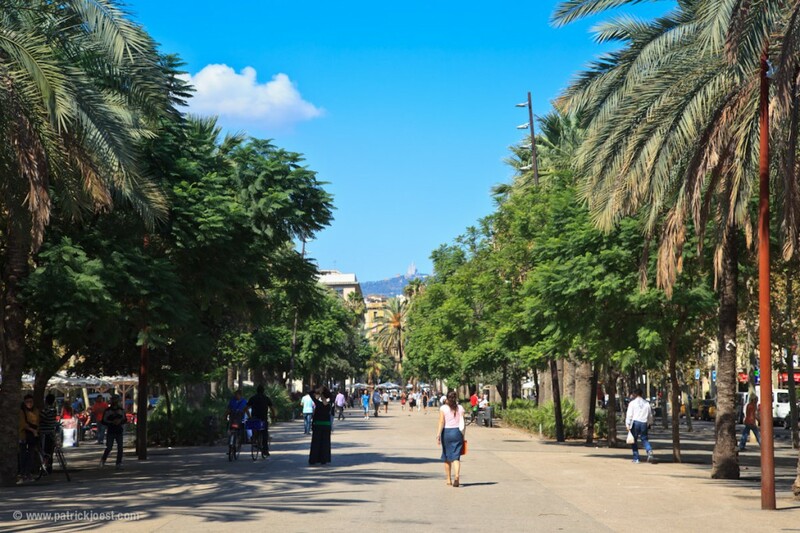 Around the corner – in Carrer de Sant Pau – also resides the beautiful old Monasterio de San Pablo del Campo. A monastery in good condition that can be visited for a fee. Metro , Drassanes, walk through Avinguda de les Drassanes. Metro , Liceu, walk through Carrer de l’Hospital. Metro , Paral-lel, walk through Carrer de Sant Pau. Metro , San Antoni, walk. At night this area can be a little bit ‘creepy’. Avoid dark, empty and small streets. Stay on main roads. Security advices. 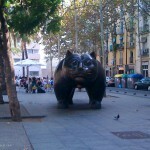 Tags: Café, culture, La Rambla del Raval, landmark, stroll.